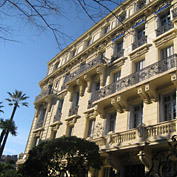 The Musiciens area is arguably the smartest residential area of Nice. Exclusive by day and calm by night, it's the preserve of wealthy local families and young professional couples. The bourgeois blocks of buildings are known for their imposing façades, high ceilings and impossibly cute little French elevators! 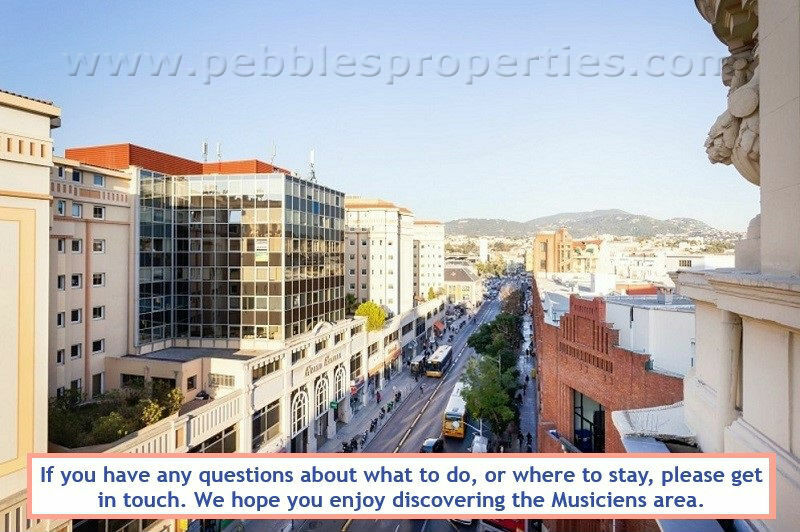 The central location makes our holiday rental apartments in Musiciens equally popular for tourists and business travellers alike. 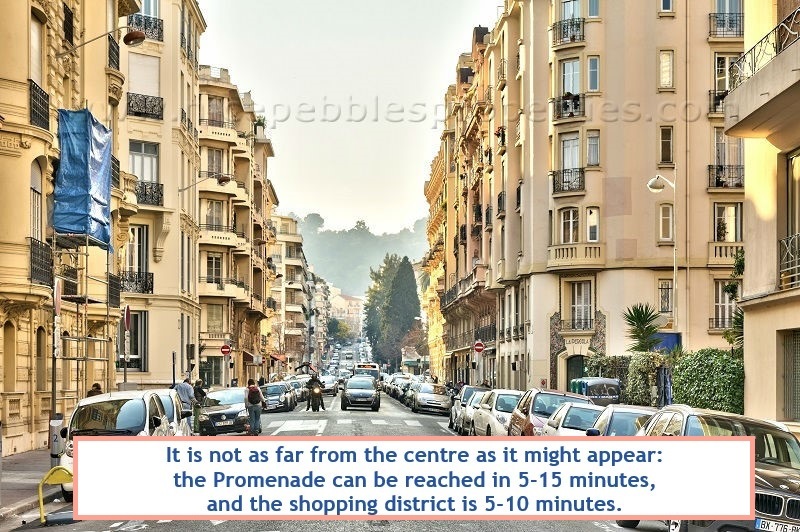 The beach and Place Massena are a 10-minute walk south. 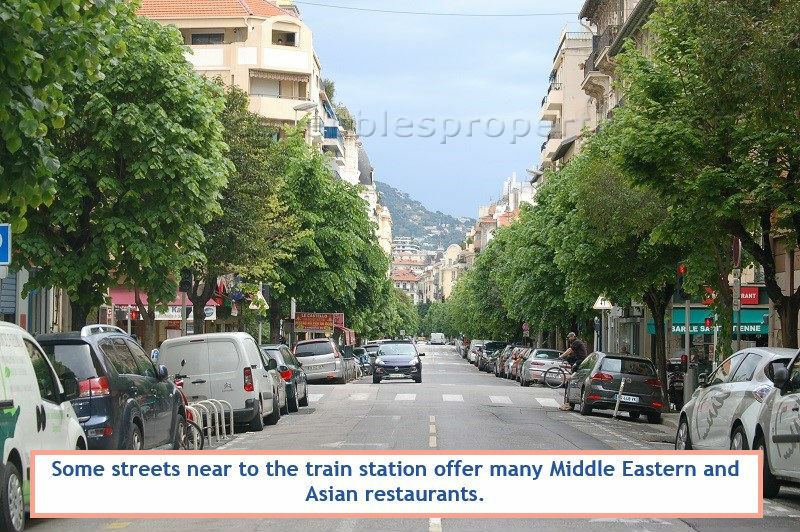 The bustling Old Town are a 20-minute walk east. 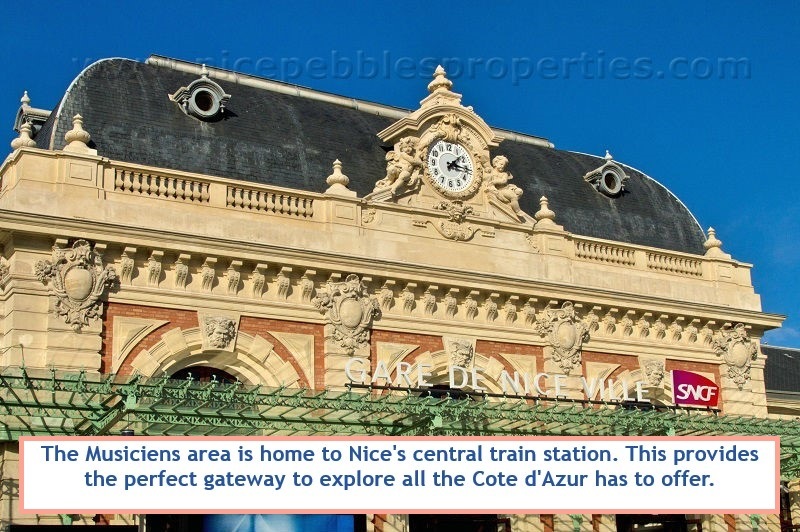 Five minutes north is the main Nice-Ville rail station, where trains zip to every coastal resort including Cannes, Monaco and Antibes every 30-minutes (and to Paris, Brussels and Milan every hour or so). And on your doorstep? 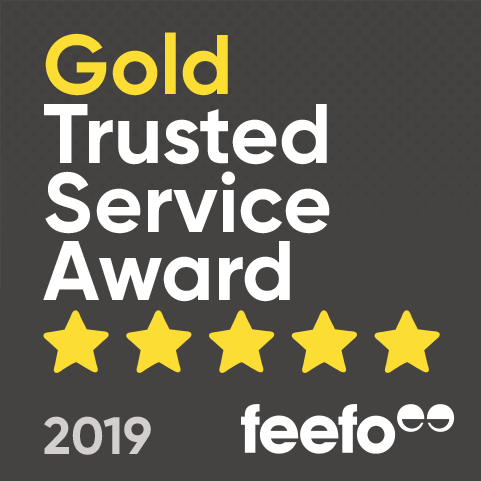 As you might expect from a prestigious area such as this, there's a good selection of upscale restaurants, smart local cafés, florists and convenience stores close to our rental apartments. 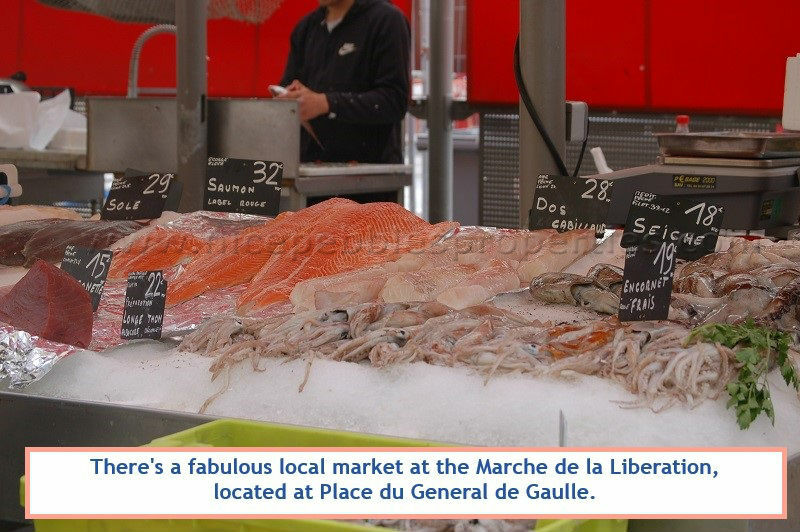 The two-storey Monoprix supermarket on Avenue Jean Médécin is a 10-minute walk away. 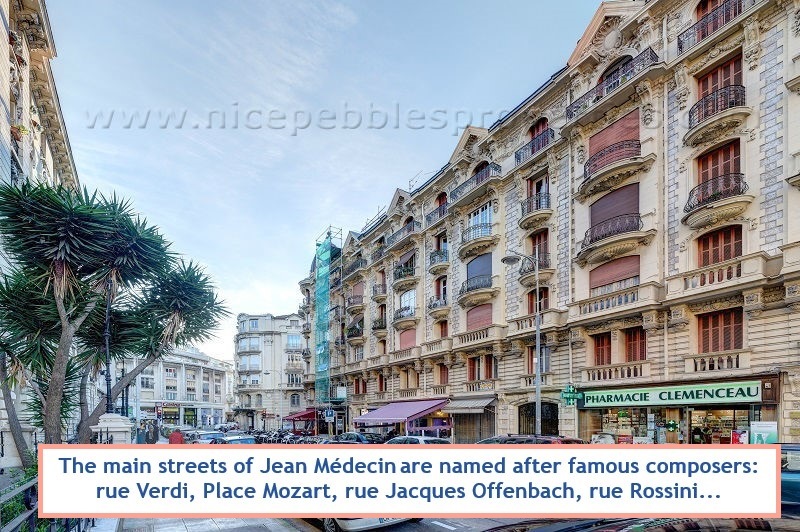 The principal streets in the Musiciens quarter are named after famous composers, and include Rue Verdi, Rue Rossini, Place Mozart and Rue Offenbach. 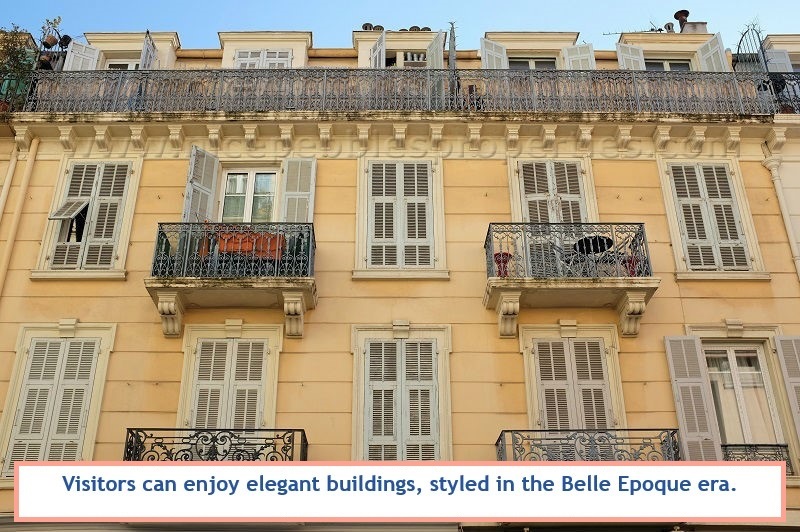 With head tilted as you wander around this elegant area you can enjoy all the wonderful facades of the belle époque years when Nice brimmed with architectural self-confidence. 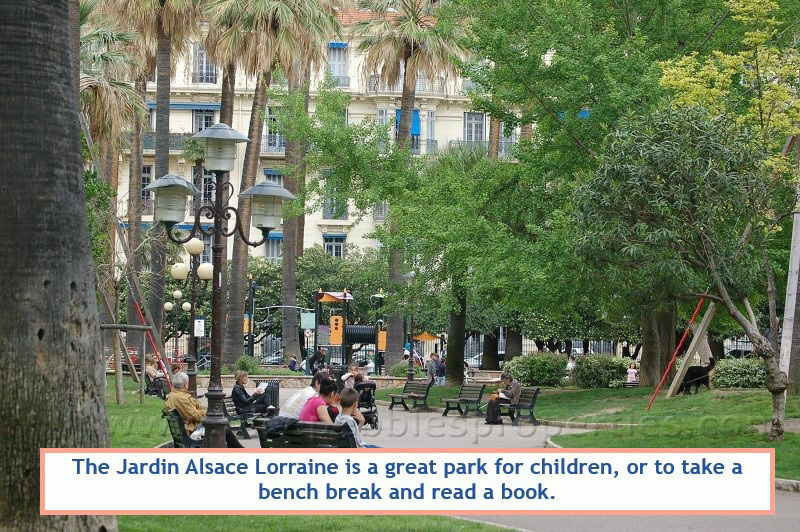 Guests at our rental apartments in the Musiciens quarter will find it a peaceful and safe area. There are several underground car parks around, the biggest being Parking Mozart. Residents drive in and out of them in a delicate fashion, they don't honk their horns and block in other drivers: this isn't Marseille! All in all, Musiciens is a great choice if you are happy to be just outside the main hustle and bustle, with the city and its transport right on your doorstep. 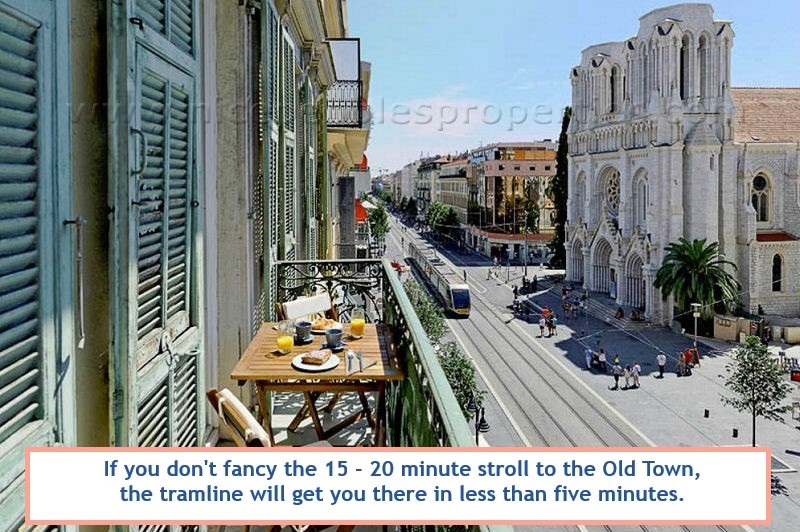 Our holiday rental properties in Musiciens are all within walking distance of one of Nice's key tourist attractions: the Cathedrale Russe (the Russian Cathedral). Completed in 1912, this opulent – and still active – place of worship shouldn't be missed. The tiles are from Florence and the icons travelled all the way from Moscow. Inside, it's as atmospheric as they come. 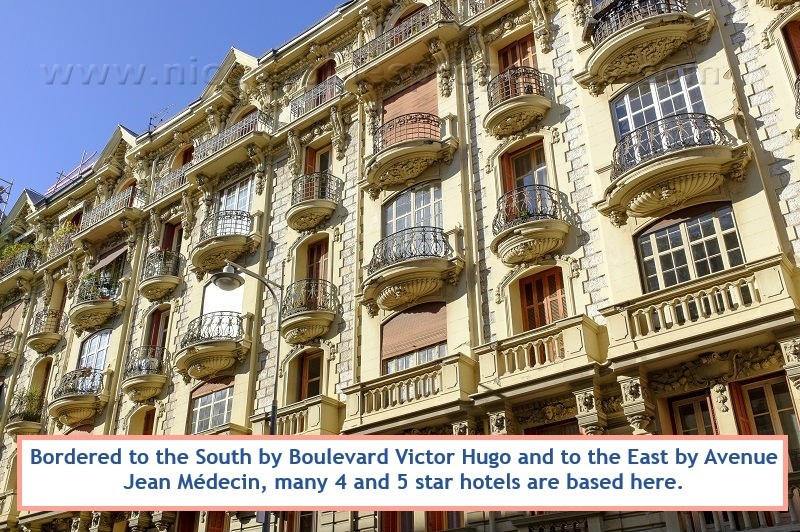 Guests will find most buildings in the Musiciens Quarter to be very well maintained. Most have ornate elevators and entrance halls, and very occasionally a concierge. 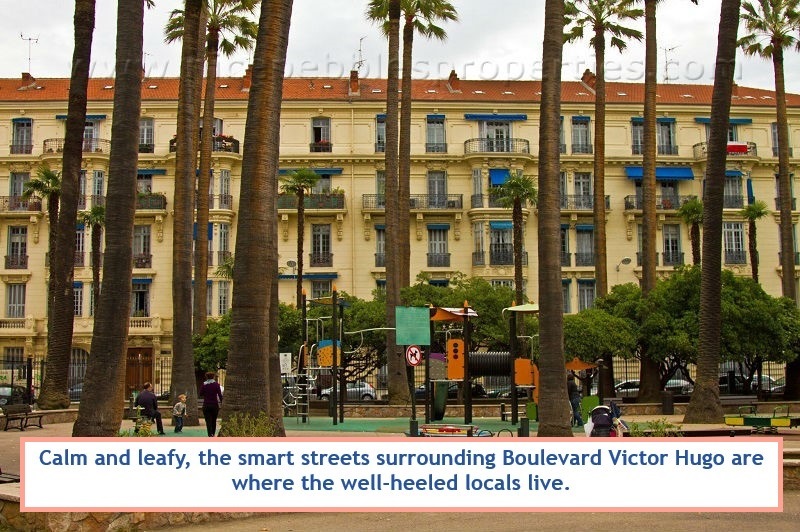 Inside the apartments, air-conditioning largely depends on whether there is a balcony or back courtyard so the unit can be installed without spoiling the facades of the buildings – an issue that concerns the entire city. 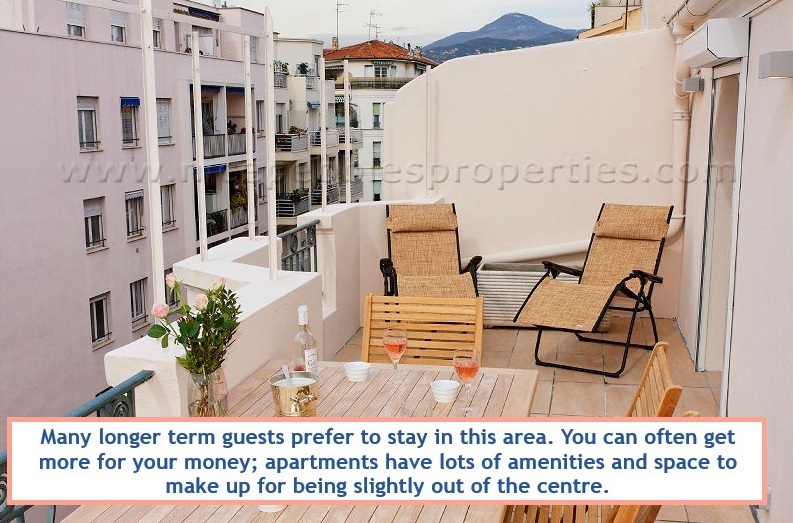 Small balconies are common in this area, and since it is quieter, if you like to spend evenings with a bottle of wine on the balcony, our apartments in the Musiciens area present an excellent choice.